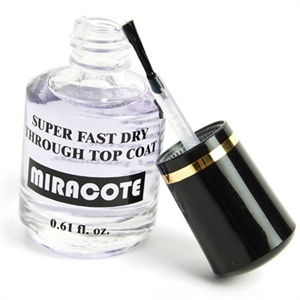 Duri’s Miracote is designed to dry through nail polish to the base coat so nails are ready to go quickly. Miracote is a non-yellowing formula that is toluene- and formaldehyde-free. This top coat leaves a very durable, glossy finish that helps keep manicures and pedicures from chipping or smudging.